THE Selangor government does not risk losing any money owed to it by Talam Corporations Bhd (now known as Trinity Corporation) even if the land valuation prices does not match the prices for which the lands were acquired from Talam, a state assemblyman said yesterday. Kg Tunku assemblyman Lau Weng San said that since all the deals are underwritten between Talam and the state, Talam would still need to find extra parcels of land to dispose off to Selangor if the state could not retain RM392 million worth of lands from the exercise. "The question about land valuation (and overpayment) is of secondary consideration. This is because there is an undertaking that Talam still needs to find more land so that the state recovers the full sum of RM392 million that is owed to state by Talam," he said during a press conference here yesterday. Lau made available copies of hansard dating back to July and November 2010, saying that Menteri Besar Tan Sri Abdul Khalid Ibrahim had already answered many of MCA Young Professionals Bureau Chairman Datuk Chua Tee Yong's questions during the state legislative assembly almost two years ago. The hansard shows Abdul Khalid as saying that the state plans to increase value on the lands it had acquired from Talam by zoning the land as commercial before selling them off based on gross development value. "What Chua has done is that he had basically subtracted the difference the professional valuation for the price of lands and the gross development value. That's the difference," Lau said, referring to a Talam circular to its shareholders dated March 15, 2011. However, the assemblyman was unsure of who made the gross development valuation and on what basis the state had acquired the lands based on the gross development value rather than professional valuation. Chua had earlier alleged that the state had overpaid (overvalued) by RM 57.3 million to Talam for a piece of land in Danau Putra and RM42 million for another piece of land in Bestari Jaya. "For that (clarification) we need to wait for the white paper," Lau said. However, Lau alleged that Chua had been "selectively reading" from the hansard when the latter criticised the state government for not producing a white paper on the deals that it supposedly promised by the end of 2010. "The hansard record clearly states that (Abdul Khalid) will produce the white paper provided all the agreements are finalised and all transactions included. But, if the Talam circular to its shareholders was only sent in March 2011, the state couldn't possibly produce a white paper before that," he said. The Talam circular was the company's seeking of its shareholders' consent to go ahead with the deal to offset its debts with the state. Lau also rebutted Chua's claims that lands submerged in water has less value, pointing out the Sunway Lagoon theme park and The Mines shopping mall were both built on excavated mining ponds. Selangor MB Khalid Ibrahim's 'silence' over the White Paper on Talam is because he has made his statements in the State Legislative Assembly. PETALING JAYA: MCA’s “selective” deciphering of the Selangor Legislative Assembly’s Hansard to gain mileage over the alleged Talam Corporation scandal has come under attack. DAP-Kampung Tunku assemblyman Lau Weng San said that MCA’s Labis MP Chua Tee Yong chose not to reveal the full contents of the Hansard when making his allegations. Lau implied that if Chua had done that, he would have gotten his answers over Talam. “Chua Tee Yong is selectively using the Hansard to suit his political taste. 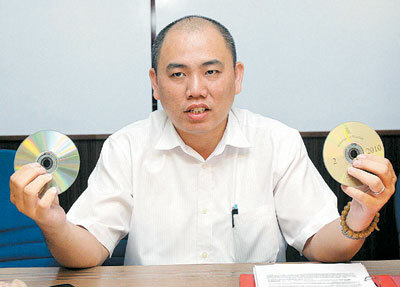 “…There are answers in the Hansard but he has conveniently ignored it,” he told reporters at DAP’s Selangor headquarters. Armed with copies of the Selangor Hansard, Lau said that the question of over-payment for Talam land should have never come up. Citing Selangor Menteri Besar Khalid Ibrahim’s statement on July 13, 2010, Lau said that the money earned from Talam’s land handover should not be less than RM392 million which is Talam’s debt to Selangor. “In other words, the issue of over-payment, which is the result of subtracting gross consideration value from professional valuation, does not arise because Talam has already undertaken to settle the debt in full,” he said. Lau added that the state government “may eventually” consider selling its newly-gained lands based on a “gross development value” for profit. “Since Talam has already agreed to settle the matter in full…you must get RM392 million from Talam,” he said. Lau also said that Khalid’s supposed silence over the White Paper and the whole issue was because the MB had answered the matter in the State Assembly before. Reading from the July 13, 2010, Hansard, he said that the Talam White Paper needed to take into account all the agreements affected by Talam’s debt settlement. He said that the White Paper could not possibly have been released by the end of 2010, despite the MCA’s insistence, when even Talam’s circular to its stakeholders (via Bursa Malaysia) only came out on Mac 15, 2011. Previously, Khalid had said that the state government did not come out with the White Paper as some of its matters with Talam had not concluded yet. He also denied that Bursa Malaysia and the Securities Commission had no role to play when it came to Talam’s debt-restructuring. Citing Bursa Malaysia Main Market Listing Requirements documents, he said that Bursa Malaysia’s endorsement in the matter was required, and the claim to exclude it was “surprising”. Lau also attacked Chua for the latter’s claim that some of the land handed over to Selangor was underwater, implying that it was useless. He said that major entertainment centres such as The Mines Wonderland and Sunway Lagoon were mining ponds at one time, and were redeveloped into successful ventures. “A smart guy will turn the mining ponds into gold mines. A guy who is not so smart will see it as fishing ponds,” he said. 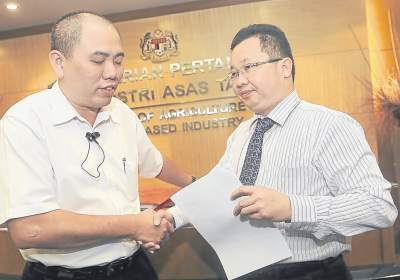 MCA Member of Parliament of Labis, Johore, also Deputy Agricultural and Agro-based Industry Minister, Chua Tee Yong has been raising questions on a round-tripping exercise of Selangor State Government (SSG) to recover a hidden debt of RM392 million owed by Talam Corporation Berhad (now named Trinity Corporation Berhad) for the past ten years. 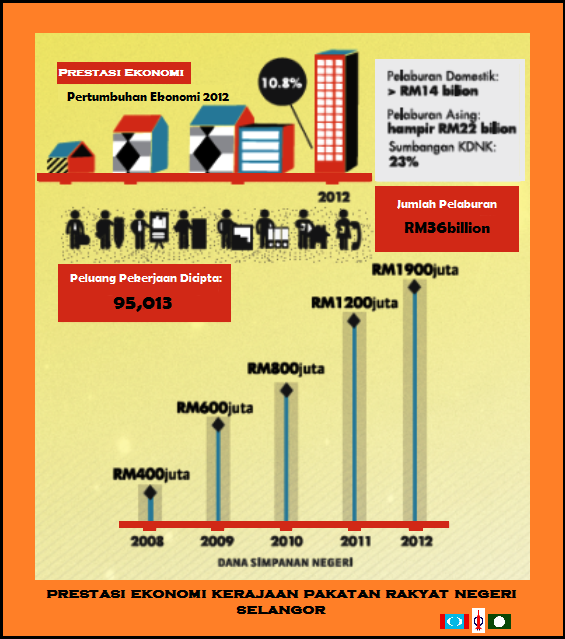 (2) An overpayment of RM42 million for another piece of land in Bestari Jaya. He also claimed that some of these lands are submerged under water and have very little economical value. He also pushed for SSG to release a white paper as promised to be released in end of 2010. This is based on an extraction of Selangor State Legislative Assembly meeting on 13th July 2010 when Selangor Mentri Besar Tan Sri Khalid Ibrahim replied a supplementary question by BN State Assemblyman for Paya Jaras, YB Dato’ Ir Muhd Bushro Mat Johor. 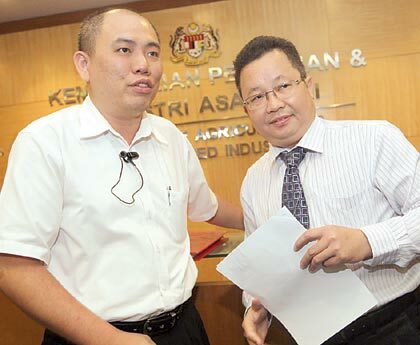 Chua Tee Yong has been hammering Tan Sri Khalid Ibrahim since day one on his delay in issuing a White Paper, which he promised in the State Legislative Assembly, would be issued by end of the 2010. Unfortunately, Tee Yong seems to be unable to understand this sentence as he keeps blaming SSG for its failure to produce the White Paper, knowing very well that not all transactions were concluded then in the end of 2010. This is even when Talam Corporation issued a circular to all its shareholders via Bursa Malaysia only on 15th March 2011, which is less than three months away from December 2010. How on earth could SSG or Tan Sri Khalid Ibrahim issue a White Paper when Talam at that point of time had not even got the approval from its shareholders? Or is Tee Yong selectively quoting from the Hansard to justify his accusations? Tee Yong also worries that taxpayers’ monies will go to drain when there are two records of overpayment from SSG to Talam. He also questions if SSG manages to fully recover RM392 million from Talam. Tee Yong will definitely get his full answer if he has fully read the Selangor State Legislative Assembly hansard on 13th July 2010. This means that if assets from Talam fail to yield RM392 million for the state government, the state government then has the right to take other lands owned by Talam to recover the remaining debt. This means whatever revenue generated from the disposal or sales of any Talam’s properties held by SSG, the value shall not be less than RM392 million, which is the money owed to SSG by Talam. In other words, the issue of over-payment (which is the result of subtracting gross consideration value from professional valuation) does not arise because Talam has already undertaken to settle the debt in full although the state government eventually may consider selling these lands based on gross development value to secure higher prices. Bursa Malaysia and Securities Commission has no role to play? Talam claimed that all exercises under the proposed settlement are endorsed and approved by Bursa Malaysia and Securities Commission. Chua Tee Yong refuted this claim and disagreed by saying that debt-restructuring of a public listed company (PLC) does not require approval from Bursa Malaysia and Securities Commission. So can we still now say that Bursa Malaysia has got no role to play in this exercise? Land submerged under water has no economical values? I do not have any idea what MBI plans to do with any land submerged under water which MBI recovers form this exercise but Tan Sri Khalid Ibrahim’s reply in the Selangor State Legislative Assembly throw a lot of limelights on various proposals that SSG received since then. Let me remind Chua Tee Yong that The Mines was developed by Tan Sri Lee Kim Yew from the world largest excavated tin mine in Serdang. Let’s not forget Sunway Lagoon, also successfully redeveloped by Tan Sri Jeffrey Cheah’s Sunway Group from an ex-mining pond. Smart guys can increase the gross development value of mining ponds into gold mines instead of fishing ponds. Masalah kekurangan air tidak sepatutnya berlaku dan kerajaan Negeri Selangor meragui pengumuman cadangan catuan air oleh Syarikat Bekalan Air Selangor Sdn Bhd (SYABAS) kerana Pengawal Selia Air Negeri dan Ahli Lembaga Pengarah SYABAS tidak dimaklumkan. Untuk menjaga kepentingan rakyat Negeri Selangor, Kerajaan Negeri telah meminta Dato’ Setiausaha Kerajaan Negeri bersama Pengawal Selia Air Negeri untuk memantau perkhidmatan air oleh SYABAS. Jawatankuasa ini akan minta SYABAS memberi laporan harian untuk menerangkan kedudukan air semasa. Sementara itu, Konsortium ABASS juga akan diminta menyertai jawatakuasa ini yang mana syarikat itu akan memanggil pakar bebas yang berpengalaman semasa krisis air 1998 untuk memantau kesahihan laporan dan maklumat oleh SYABAS. Perlu ditekan di sini, keadaaan sekarang tidak boleh disamakan dengan krisis air pada 1998 kerana tujuh empangan negeri di seluruh Selangor mempunyai kapaisiti air yang cukup dan melimpah. Kerajaan Negeri menggesa supaya proses penstrukturan semula industri air diteruskan dengan segera kerana SYABAS jelas tidak berkemampuan untuk memberi perkhidmatan air yang baik kepada pengguna. Ini jelas ditunjukkan apabila SYABAS setakat bulan April 2012, mempunyai tanggungan jumlah tertunggak kepada operator rawatan air dianggarkan sebanyak RM2.8 billion. SYABAS juga gagal menurunkan kadar air tidak terhasil (non-revenue water) kepada 20%. Tambah pula, laporan awal audit mendapati SYABAS tidak melaksanakan kerja-kerja capex (capital expenditure) mereka dengan baik. Berdasarkan alasan di atas, maka Kerajaan Negeri telah sebanyak dua kali menghantar surat kepada Kerajaan Persekutuan pada 19 Disember 2008 dan 21 Januari 2011 untuk membatalkan perjanjian konsesi tersebut. Oleh kerana Kerajaan Persekutuan tidak memberi sebarang maklum balas terhadap surat-surat tersebut, Kerajaan Negeri telah membuat keputusan mengunakan kuasa di bawah Klausa 32 dalam perjanjian konsesi untuk memberi notis kepada Kerajaan Persekutuan untuk Kerajaan Negeri “step-in” dalam operasi SYABAS. Kerajaan negeri juga akan meneruskan usaha mencari sumber air alternatif seperti air tanah dan menambah baik kapisiti loji rawatan air sedia ada dengan mengguna pakai teknologi terkini. “Kerajaan Selangor harus menetapkan satu sistem pemindahan hartanah lot Bumiputera yang telus dan efektif supaya pembeli rumah Bumiputera tidak terlalu dikongkong dengan peraturan-peraturan yang terlalu tegas di samping mengelak sebarang manipulasi. “Contoh yang paling baik untuk menggambarkan situasi ini ialah dua aduan yang diterima berkenaan Kondominium Kelana D’Putera yang dibangunkan oleh Syarikat Perantara Properties Sdn. Bhd. “Dalam kes pertama, seorang pemilik rumah Bumiputera yang juga seorang warga emas ingin melepaskan rumahnya kepada seorang kawan karibnya sejak zaman persekolahan lagi tetapi tidak berjaya kerana rumah beliau itu ialah unit kuota Bumiputera dan tidak boleh dipindah milik kepada pembeli bukan Bumputera. “Dalam kes kedua, seorang pemilik rumah bukan Bumiputera telah dipesong oleh pemaju dan terbeli sebuah rumah kuota Bumiputera. Beliau ingin menjual rumah ini kepada seorang pembeli bukan Bumiputera tetapi tidak berjaya. “Dalam kedua-dua kes ini, pembeli asal rumah berkenaan dilarang daripada menjual rumah kuota Bumiputeranya kecuali mendapat kebenaran daripada kerajaan Selangor. Proses ini memakan masa dan ini tidak mendatangkan apa-apa kebaikan baik kepada pemilik ataupun kepada pembeli. “Apa yang jelas, memang terdapat ketirisan dalam system yang sedia ada sehingga terdapat pihak-pihak tidak bertanggungjawab mampu memanipulasi peraturan-peraturan yang ada untuk kepentingan mereka. Kerajaan Selangor harus berikhtiar untuk menyelesaikan masalah ini. “Contohnya, pembeli Bumiputera harus diberi kebebasan untuk menjual rumah tersebut kepada bukan Bumiputera dengan syarat pembeli berkenaan perlu membayar caruman kepada satu tabung yang dikhususkan untuk membantu golongan miskin untuk memilik rumah pertama mereka. “Pemaju yang menjual hartanah lot Bumiputera kepada bukan Bumiputera tanpa kebenaran perlu dihukum dengan membuat caruman yang sama kepada tabung yang dimaksudkan di atas. “Selain itu, untuk memastikan golongan miskin Bumiputera terbela, kerajaan juga tidak perlu menetapkan kuota dan diskaun harga Bumiputera untuk hartanah mewah yang melebihi RM1 juta ke atas memandangkan pembeli-pembeli Bumiputera sudah tentu mampu membeli hartanah-hartanah ini atas kemampuan mereka sendiri tanpa bantuan kerajaan. “Dengan ini, para pemaju tidak perlu menanggung subsidi yang terlalu tinggi dan keuntungan yang diperolehi boleh disalurkan ke dalam tabung yang dimaksudkan tadi untuk membantu lebih ramai orang miskin, khususnya golongan Bumiputera untuk memiliki rumah mereka yang pertama." Apakah Pertandingan Mencipta Lagu Jalanan? Pertandingan Mencipta Lagu Jalanan bertujuan mencungkil bakat kreatif anak muda untuk mencipta dan menggubal lagu-lagu jalanan. Wang tunai berjumlah RM12,000 menantikan para peserta yang dipilih oleh panel juri kami dalam pelbagai kategori. Antaranya kategori ‘Juara Lagu Jalanan’ dan 'Persembahan Terbaik'. Acara konsert finale akan diadakan pada 14 Julai 2012 dimana 12 orang/kumpulan akan berentap untuk meraih gelaran Juara Lagu Jalanan 2012. Jangan risau, penonton yang hadir juga akan berpeluang untuk mendapat hadiah-hadiah yang bernilai dalam cabutan bertuah khas kami. Apa tunggu lagi? Hantarkan penyertaan anda sekarang juga! Segala maklumat berkaitan pertandingan ini boleh didapati di sini. By Tony Pua, taken from Malaysia Chronicle. Datuk Chua Tee Yong has on 3rd July made headlines in all media by accusing the Selangor state government of committing a RM1 billion land scandal, bailing out financially stricken property developer Talam Corporation. Since then we have showed clearly that there was not only no bailout, Talam was forced to repay its debts to the state government amounting to RM392 million which were all accrued during the Barisan Nasional regime. We have also proven that Datuk Chua not only could not tell the difference between debit and credit columns of a balance sheet, he had the uncanny subtraction ability of “two minus one equals three” (2 – 1 = 3) which resulted in the impossible figure of RM1 billion mega-blunder. However, since then, Datuk Chua has failed to respond or clarify on his mega-billion ringgit blunder. He only said during his press conference on 5th July 2012 that he’ll reply “once he has gathered further information”. "I will give you (the answer) when I receive further information, as I am receiving some on that," he said. As of today at 11 July 2012, Datuk Chua has still not responded to or corrected his mega-blunder and this only proves that there was never a RM1 billion scandal and the Selangor state government never bailed out Talam as accused by Datuk Chua and MCA. Never before in the history of Malaysia has a Deputy Minister “exposed” a RM1 billion “scandal” which subsequently become a RM1 billion mega-blunder, and Datuk Chua Tee Yong will suffer the ignominy of becoming the very first in the country. MCA today accused the Selangor government of "overpaying" RM57.3 million to Talam Corporation Bhd for 53.74 hectares of land in Danau Putra, Selangor. Referring to the exact same document which Datuk Chua was using to demonstrate his knowledge during the press conference, the land valuation report by Chartwell ITAC International indeed highlighted the fact that “the cost of filling is estimated of about RM51,500,000”. However, Datuk Chua seems to have failed to read in the same paragraph of the report (attached page 77 of the Talam Shareholders’ Circular dated 15 March 2012) that Chartwell has already “made further adjustment to our valuation by excluding the estimated cost of earth filling of the area under water”. After deducting the above, Chartwell arrived at a professional valuation of RM93.5 million for the land which is even higher than the valuation of RM87.7 million given by state government. Hence Datuk Chua’s accusation that the state has failed to take into account of the submerged land and overpaid as a result, is another simple case of double-counting. Datuk was basically trying to deduct the cost of filling the land again, even after it has been taken into consideration by the professional valuer. Datuk Chua had asked "How come [one of the four parels of] land was auctioned off? And why was the aforesaid plot priced at 2.86 times the auction amount and, assuming the price was RM5.20psf, why did the Selangor government overpay by RM57 million?" He further added that due to some legal complications, the land was auctioned off on Sept 7 that year. However, Chua admitted that he did not know state the nature of the legal action that led to the property being auctioned. Datuk Chua has failed to secure information with regards to the legal “complication” above which might have protected him against making another wild unsubstantiated allegation against the Selangor state government. A look at the publicly available January 2012 Talam Corporation Bhd Annual Report will immediately disclose the history of the legal complication. Bangkok Bank Bhd (BBB) had erroneously auctioned the above said property on 7 September 2010 despite being aware that the land is part and parcel of properties being disposed to Menteri Besar (Incorporated) (MBI) under a settlement agreement entered into on 12 March 2010. Talam has taken legal action against the bank to recover the losses from the land, where the bank auction purchaser bought for RM15 million, well below the transacted value with MBI of RM48.7 million. However, what proves to be a stroke of business savvy and negotiating genius of the Tan Sri Khalid Ibrahim-led MBI was the fact that regardless of the outcome of the legal dispute, the interest of the state in collecting the outstanding debt is not at all compromised. Talam has disclosed in the Annual Report that “the disposal of this property will not have any significant impact on the MBI settlement agreement”. The Company stated that “if necessary, the Company will identify a piece of land to replace the abovementioned to MBI”. This proves that the State Government will not lose a single sen over the above transaction unlike what was alleged by Datuk Chua Tee Yong. It would perhaps have been more productive if he starts shifting his focus to how Talam was able to amass such a huge RM392 million debt with the state government, and perhaps he might be able to find some mud against BN then. We have shown clearly with facts, figures and documents to prove that all the alleged scandals raised during Datuk Chua’s press conferences were completely without basis. Datuk Chua has proven to be an incompetent leader of the MCA Young Professionals Bureau, making mistakes after mistakes during press conferences. Datuk Chua should perhaps stop the attempts to dig a deeper hole for himself while attempting to cover up his RM1 billion mega-blunder. “Kerajaan Selangor perlu menyelesaikan dengan cepat dan efektif masalah kekurangan tanah kubur di Selangor. "Negeri Selangor merupakan negeri yang mengalami kadar penambahan penduduk tertinggi di Malaysia. Susulan dengan itu, keperluan rakyat Selangor terhadap tanah kubur juga antara yang tertinggi di Malaysia. “Masalah kekurangan tanah kubur di Selangor menjadi semakin tenat disebabkan dasar kerajaan negeri lalu yang tidak tegas dalam melindungi tanah-tanah rizab kubur dan menambah caruman tanah kubur. “Dalam satu pertemuan dengan penduduk-penduduk Petaling Jaya pada 5 Jun 2012, YAB Menteri Besar telah memberitahu bahawa caruman kepada Tabung Amanah Tanah Kubur perlu dinaikkan supaya kerajaan mempunyai wang yang mencukupi untuk mengambil tanah-tanah yang bersesuaian sebagai tanah kubur. “Jabatan Perancangan Bandar dan Desa (JPBD) telah mengatakan bahawa keadaan di Majlis Perbandaran Subang Jaya (MPSJ), Majlis Perbandaran Ampang Jaya (MPAJ), Majlis Perbandaran Selayang (MPS) dan Majlis Bandaraya Petaling Jaya (MBPJ) adalah antara yang paling kritikal. Kawasan Petaling Jaya sudah tiada lagi tanah kubur yang mencukupi dan beliau juga membangkitkan dua cara penyelesaian iaitu tapak kubur setempat dan tapak kubur bersepadu untuk menyelesaikan masalah ini. “Justeru itu, kerajaan perlu memberi perhatian khas kepada masalah ini. Salah satu cara penyelesaian terhadap masalah kekurangan tanah kubur di Petaling Jaya ialah dengan menggalakkan lebih ramai orang menggunakan cara pembakaran mayat (krematorium) kerana ini sangat menjimatkan kos dan tanah. “Persatuan Perkuburan Cina Petaling Jaya (PJCCA) telah mengemukakan permohonan kepada kerajaan negeri untuk mewartakan krematorium mereka di Kampung Tunku sebagai rizah tanah kubur. Mereka juga memohon sebidang tanah kecil di luar bangunan mereka untuk didirikan menara habuk mayat (ash tower) untuk menjimatkan tanah. “Malangnya, permohonan mereka telah ditolak oleh JPBD atas alasan bahawa tanah mereka bukan tanah rizab kerajaan. Tambahan lagi, JPBD juga mengatakan bahawa sudah terdapat tanah krematorium di kawasan yang sama. “Apabila Selangor amnya dam Petaling Jaya khasnya menghadapi kesuntukan tanah kubur, alasan-alasan JPBD ini memang tidak munasabah. “Pada masa yang sama, Persatuan Perkuburan Cina Ulu Yam Lama telah menulis untuk memohon sebidang tanah kubur yang baru. Permohonan ini sudah mengambil masa yang lama sehingga terdapat mayat yang terpaksa dikebumi atas tanah persendirian! “Kerajaan Selangor harus memastikan pemilihan kontraktor penyelenggaraan rumah-rumah pangsa kos rendah dijalankan betul. “Kerajaan Selangor telah melancarkan program ceria pada tahun 2010 di mana sehingga sekarang kerajaan memperuntukkan wang sebanyak RM9.7 juta untuk menyelenggara bangunan, bumbung dan lif rumah-rumah pangsa kos rendah di Selangor di bawah program Ceria. “Rumah Pangsa Sri Aman di Seksyen 22, Petaling Jaya telah dipilih sebagai salah satu rumah pangsa yang menerima manfaat di bawah program ini di mana JMB berkenaan telah diberi peruntukan untuk membaikpulih dua lif yang telah rosak. “Malangnya pembaikpulihan kedua-dua lif ini terpaksa melalui pebagai kesulitan. Pertama, kontraktor yang dilantik oleh SIC Berhad pernah berhenti bekerja beberapa kali dengan alasan bahawa bayaran kos penyelenggaraan tidak dilakukan secara berkala. “Semasa saya mencampur tangan untuk menyelesaikan kemelut ini, saya difahamkan oleh pegawai SIC bahawa perkara tentang cara bayaran dibuat tidak termaktub dalam perjanjian antara SIC dengan kontraktor berkenaan. Selain itu, saya difahamkan bahawa semua kontraktor yang dilantik hanya akan mendapat bayaran penuh selepas menyelesaikan tugas mereka. “Kesulitan yang kedua ialah kontraktor berkenaan enggan menyerah beberapa komponen elektronik yang diperlukan untuk memantau perjalanan motor lif berkenaan melainkan JMB bersetuju untuk mengambil mereka sebagai kontraktor penyelenggaraan selama dua tahun. “Hal ini bertukar menjadi lebih rumit apabila JMB yang selama ini tidak berpuas hati dengan prestasi kontraktor berkenaan memutuskan untuk tidak mengambil kontraktor ini sebagai kontraktor penyelenggaraan. JMB kemudian telah mengupah sebuah kontraktor yang lain yang difahamkan mampu bekerjasama dengan JMB dengan bayaran yang lebih munasabah. “Kesulitan tertimbul sekali lagi apabila kontraktor lama membuat aduan kepada Jabatan Keselamatan dan Kesihatan Pekerja (JKKP) bahawa lif-lif yang sedang berfungsi sekarang di Rumah Pangsa Sri Aman tidak boleh berjalan tanpa perjanjian penyelenggaraan di mana ini adalah dilarang di bawah undang-undang yang sedia ada. “Kerajaan telah melakukan dua kesilapan dan perlu mengambil langkah-langkah sewajarnya untuk mengelak pisang berbuah dua kali. “Pertama, bagi mengelakkan sebarang pertelingkahan yang tidak menguntungkan sesiapapun, kerajaan harus menyatakan dengan jelas dalam perjanjiannya tentang cara pembayaran caj penyelenggaraan kepada kontraktor. Malangnya, perkara ini tidak disebut dalam perjanjian. We would like to invite you to join us for a Fund-Raising Dinner in "Solidarity & Support for Tony Pua vs SYABAS"
Theme: “Solidarity & Support for Tony Pua vs Syabas"
For those who are not able to make the dinner, donations are also very much welcome ;-). Cheques should be written to "DAP Malaysia" or cash can be deposited at DAP Malaysa Maybank account: 5141 7814 5866. Kampung Tunku mengucapkan setinggi-tinggi tahniah kepada pentadbiran negeri Selangor kerana mencatat kedudukan Kumpulan Wang Yang Disatukan yang tertinggi dalam sejarah Selangor di mana sehingga 30 Jun 2012, jumlah wang yang ada dalam Kumpulan Wang Yang Disatukan berada pada paras RM2.1 bilion. Perbekalan Tambahan yang perlu diluluskan oleh Dewan Negeri Selangor kali ini berjumlah RM120.9 juta iaitu 7.5 peratus daripada perbekalan yang diluluskan pada tahun 2012, iaitu RM1.6 bilion. Sepintas lalu, sebahagian besar daripada peruntukan ini dibelanjakan untuk membiayai kenaikan dan pelarasan emolumen berdasarkan Penambahbaikan Sistem Saraan Malaysia (SSM) di mana perbekalan sebanyak RM51.7 juta telah dibelanja untuk tujuan ini. Sekiranya perbelanjaan ini tidak diperlukan, maka peruntukan tambahan yang perlu diluluskan oleh Dewan Negeri Selangor hanya RM40.7 juta sahaja. Negeri Selangor merupakan negeri yang mempunyai sumber-sumber kewangan yang kukuh. Ini ditambah dengan pentadbiran kerajaan yang bersih dan beramanah, maka penjawat awam di Selangor tidak perlu bimbang kerana kerajaan negeri mampu membayar kenaikan gaji dan emolumen sungguhpun keputusan ini dibuat oleh kerajaan persekutuan. 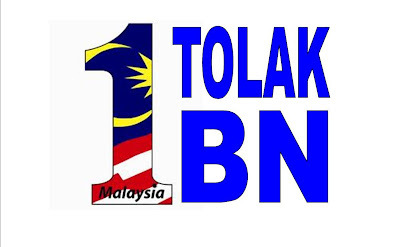 Selangor tidak seperti sesetengah negeri yang masih ditadbir Barisan Nasional (BN) di mana kerajaan-kerajaan negeri ini perlu meminjam daripada kerajaan persekutuan untuk membayar gaji kakitangan. Kampung Tunku tidak ingin melihat perkara ini dijadikan isu permainan politik oleh BN di mana mereka menuduh zaman Pakatan Rakyat juga membentangkan perbekalan tambahan. Perbezaan yang paling ketara ialah kerajaan Pakatan Rakyat hanya membentangkan perbekalan tambahan jikalau adanya kenaikan pendapatan. Bagi kerajaan persekutuan di bawah BN pula, mereka terpaksa menjual aset kerajaan, menswastakan entiti-entiti kerajaan malahan meminjam dari luar negara dengan mengeluarkan pelbagai jenis bon untuk membiayai perjalanan harian kerajaan. Alangkah sedihnya negara kita ditadbir oleh kerajaan persekutuan yang tempang dan bobrok sedemikian rupa. Dalam Bahasa Mandarin, ini disifatkan sebagai “打肿脸皮充胖子”, iaitu seseorang ini berlagak-lagak sebagai orang kaya dengan cara yang tidak realistik seolah-olah seseorang ini hendak menjadi gemuk dengan melebamkan mukanya. 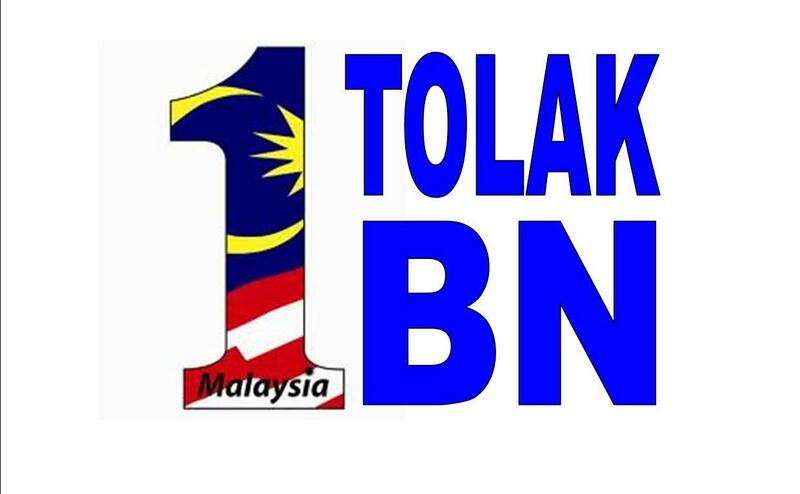 Untuk empat tahun yang lalu, bukan sahaja rekod BN sebagai pembangkang di negeri Selangor menghampakan, malahan pemimpin-pemimpin BN terus terlibat dalam pelbagai skandal, rasuah, penyelewengan dan penyalahgunaan kuasa. Marilah kita mengimbas kembali apa yang telah berlaku untuk empat tahun yang lalu. Badan Kebajikan Isteri-isteri Wakil Rakyat Selangor (Balkis) yang ditubuhkan semasa zaman Barisan Nasional telah dibubarkan tiga hari selepas PRU-12. Berikutan pembubaran ini, wang tunai sebanyak RM10 juta milik Balkis juga dipindahkan kepada Badan Amal dan Kebajikan Tenaga Isteri-isteri Menteri (Bakti), sebuah gabungan badan-badan amal isteri wakil rakyat BN di peringkat persekutuan. Perbuatan ini telah disoal siasat secara terbuka oleh Jawatankuasa Pilihan Khas Mengenai Keupayaan, Amanah dan Ketelusan (Selcat) dan dibongkarkan lagi pelbagai penyalahgunaan wang kerajaan oleh Balkis semasa zaman BN. Antaranya termasuk perbelanjaan sebanyak RM1.2 juta untuk membiayai lawatan-lawatan Balkis ke Disneyland Amerika Syarikat, Hong Kong dan Korea Selatan. Pengerusi Balkis pada masa itu, iaitu Zaharah Kecik yang juga merupakan isteri Khir Toyo enggan hadir ke sessi pendengaran Selcat. Laporan polis telah dibuat terhadapnya kerana melanggar Enakmen Penghinaan Dewan Negeri Selangor tetapi polis masih belum mengambil apa-apa tindakan terhadapnya. Kalau mantan ADUN Pelabuhan Klang Zakaria Mat Derus terkenal seantero dunia kerana “Istana Zakaria”, mantan Menteri Besar Selangor Khir Toyo nampaknya juga tidak ingin ketinggalan dengan “Istana Khir Toyo” di Seksyen 7, Shah Alam. Khir Toyo dituduh menggunakan kedudukannya sebagai Menteri Besar pada masa itu untuk mendapatkan dua lot tanah dan sebuah rumah di Seksyen 7 Shah Alam daripada Syarikat Ditamas Sdn Bhd melalui pengaranya, Shamsuddin Hayroni, dengan harga RM3.5 juta, sedangkan hartanah itu telah dibeli oleh Ditamas pada tahun 2004 dengan harga RM6.5 juta. Persoalannya ialah bagaimana Khir Toyo mampu membeli rumah bernilai jutaan malah puluhan juta ini kalau tidak menyalahguna kedudukannya sebagai Menteri Besar pada masa itu? Orang yang dikata-katakan sebagai calon Menteri Besar UMNO di Selangor ini juga merupakan Menteri yang terkenal dengan kuku besinya. Antara mangsanya termasuk ADUN Sekinchan Ng Suee Lim yang ditumbuk di bahagian perut, kepala dan tangan oleh sekumpulan 30 orang pengganas di Kampung Sawah Sempadan pada tahun 2010. Antara yang menumbuk termasuk Setiausaha Politik Noh Omar, Shafiee Asmawi di mana gambar fotonya telah diserah kepada polis untuk siasatan. Belum cukup dengan itu, Ahli Majlis Perbandaran Kajang (MPKj) Lee Kee Hiong dan sekumpulan hadirin turut dikasari oleh kuncu-kuncu Noh Omar dalam satu majlis perasmian sekolah SJKC di daerah Hulu Langat oleh Noh Omar pada tahun 2012. Apakah kuasa yang ada pada Noh Omar sehingga beliau boleh memukul dan mengasari orang tanpa disekat polis? Ketua Pembangkang Dewan Negeri Selangor Satim Diman juga tidak ketinggalan sebagai individu yang pandai mengaut keuntungan mudah dengan menjual tanah kerajaan. Tanah di Selangor Science Park 2 tersebut diberikan kepada Perbadanan Kemajuan Negeri Selangor (PKNS) bagi pembangunan pendidikan sains, sebelum dijual kepada Nikmat Inai Sdn Bhd dengan harga RM5.6 juta pada tahun 2006 di mana Satim sendiri merupakan ahli lembaga pengarah dan pemegang saham terbesar dalam syarikat itu. Tanah ini kemudian dijual kepada PKNS dengan harga RM19.2 juta. Inilah semangat Sapu Malaysia, Salam Sapu Satu Malaysia! Pemimpin-pemimpin BN lebih berminat dengan permainan politik daripada menyelesaikan masalah rakyat. Rakyat Klang dibelenggu dengan masalah banjir sejak dahulu lagi. Mantan ADUN MCA Pandamaran Tee Kim Poh pernah memohon peruntukan sebanyak RM5 juta daripada kerajaan persekutuan untuk projek mitigasi banjir semasa zaman BN. Walaupun begitu, beliau menulis kepada kerajaan persekutuan untuk membatalkan permohonan ini selepas PR menjadi kerajaan Selangor. Jika regim Najib benar-benar memperjuangkan prinsip “Rakyat Didahulukan”, maka ini tidak seharusnya berlaku. Barisan Nasional telah menabur janji kepada rakyat di Klang bahawa mereka akan membina jambatan ketiga di Klang untuk menyelesaikan masalah kesesakan trafik di Klang. Malangnya, empat tahun sudah berlalu, janji masih janji dan masih belum dikota. Apakah UMNO dan Barisan Nasional tidak malukah apabila mereka memasang billboard dengan perkataan “Janji Ditepati” sedangkan jambatan yang mereka janjikan masih belum dibina? Semalam berlangsungnya debat antara Ketua Menteri Pulau Pinang, YAB Lim Guan Eng dengan Presiden MCA, Dato’ Seri Dr Chua Soi Lek. Malangnya, perkara ini juga ditimbulkan dalam perbahasan. Isunya adalah sangat jelas, ianya langsung tidak ada kena-mengena dengan kaedah “round-tripping” ataupun cerita dongeng RM1 bilion untuk membayar Talam. Isunya hanya satu, iaitu MCA dan Barisan Nasional, dalam segala ketandusan ideanya untuk menawan hati pengundi-pengundi Tionghua demi survival-nya, mereka terpaksa mencari sesuatu untuk mengucar-kacirkan kerajaan. Mereka ingat mereka dapat durian runtuh, mana tahu durian itu tidak berisi （以为执到死鸡，点知只鸡系发瘟鸡）. Kerajaan mendapati syarikat Talam berhutang kepada kerajaan pada tahun 2009 dan setelah berbincang dengan syarikat berkenaan, nilainya yang disahkan ialah RM392 juta, Talam perlu membayar balik wang berkenaan dalam pelbagai bentuk seperti tunai, aset, tanah dan sebagainya. Tiba-tiba MCA berkata kerajaan belanja RM1 billion untuk bail-out Talam. Angka ini kemudian terus bertukar-tukar sehingga kami keliru apakah angka yang sebenarnya? Kemudian konsep “round-tripping” ini disalah tafsir dan menjadi “double counting”. Apa yang pelek lagi, terdapat ADUN dari MCA yang tidak berhenti-henti mengeluarkan kenyataan akhbar mengkritik kerajaan negeri dalam hal ini sedangkan mereka bisu belaka apabila perkara ini berlaku pada tahun 2009. Kampung Tunku tertarik dengan tindakan kerajaan untuk memberi perbekalan tambahan kepada pembangunan modal insan di mana perbekalan sebanyak RM8.2 juta telah dibelanja untuk tujuan rekupan Tabung Kumpulan Wang Biasiswa Negeri Selangor dan sejumlah RM10 juta lagi diperuntukan untuk menambahbaik infrastruktur Universiti Selangor (Unisel). Selain itu, sebanyak RM2 juta diperuntukan untuk membantu sekolah-sekolah SJKT, SJKC dan SAR untuk tujuan pembangunan. Maka dengan itu, cita-cita murni yang tersirat di dalam perbekalan tambahan ini perlu disokong. Rata-ratanya ianya juga selaras dengan Buku Jingga Pakatan Rakyat yang memberi banyak penekanan kepada pembangunan modal insan. Justeru itu, adalah menjadi saranan saya kepada kerajaan Selangor, iaitu memandangkan terdapat peningkatan dalam prestasi kewangan, maka apa salahnya untuk kerajaan menambahkan peruntukan untuk pembangunan modal insan? Kerajaan juga harus memberi tumpuan yang lebih kepada kursus-kursus vokasional. Inpens International College yang dimiliki kerajaan Selangor mempunyai tanggungjawab besar untuk membangunkan pendidikan vokasional. Sejarah telah membuktikan bahawa negara-negara yang mencapai kemahiran teknologi yang tinggi juga mempunyai system pendidikan vokasional yang kukuh. Ambil contoh negara Jepun di mana pelajar-pelajar sekolah menengah akan melalui latihan vokasional selama dua tahun sebelum diserap ke dalam system pendidikan tinggi. Untuk negara Jerman, pendidikan vokasional juga telah diserap dalam pendidikan utama mereka dan dikendalikan oleh kerajaan, korporat dan kesatuan sekerja. Dengan itu, Kampung Tunku mohon menyokong. Now, Talam had spoken up, against MCA this time. MCA's Chua Tee Yong made "mega-blunder" in his allegations against Selangor State Government for spending RM1 billion taxpayers' monies to bail out Talam Corporation, which is now called as Trinity Corporation Berhad. Talam has issued a statement to rebut Chua Tee Yong's baseless allegations. In my opinion, the manner in which the statement was worded was quite "strong". Not many private company in Malaysia would have issued statement with sucn "strong" flavour. For those who are interested to read it, you can go to here to have it. Something must have gone wrong with MCA if Talam, once regarded a company linked to the authority, can issue such statement. Chua Tee Yong, repent lah.